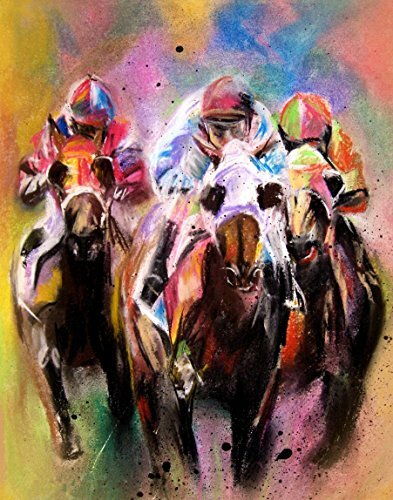 Title: RACING TRIO, 11×14 inch fine art print from my original contemporary pastel painting. Printed using pigmented archival inks on 51 lb watercolor fine art paper. Hand signed on front of image unless otherwise requested. Print does not include mat or frame.